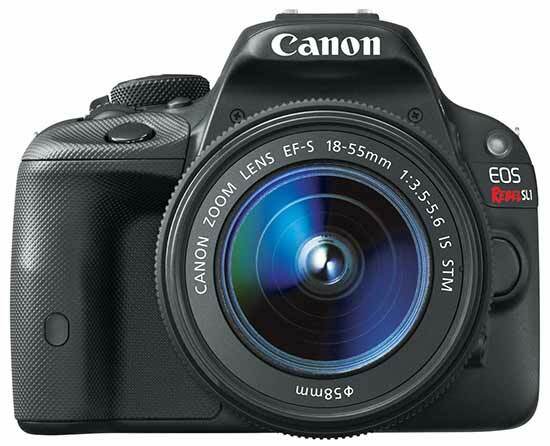 A new smaller DSLR model – we’ll update this page with new camera info as we find it. Interesting move by Canon to target mirrorless and CSC cameras. We also have info on the new 700D announced at the same time. In 2014 Keith purchased a 100D as a small backup camera, and will be writing up some articles related to exploring its use. 16th The white version of the 100D and a white 18-55 STM lens is now to be available more widely – Just announced for the UK. 9th Sample images and manual download added above. This page will be updated as we find more information. Designed and manufactured by Canon to work in combination with its own DIGIC image processors, Canon’s CMOS technology integrates advanced noise reduction circuitry at each pixel site, delivering virtually noise-free images. In comparison with CCD technology, the lower power consumption characteristics of Canon’s CMOS sensors also contribute to longer battery life. The EOS 100D features a new Hybrid CMOS AF II Sensor that uses a combination of phase detection pixels located on the sensor, along with contrast AF to acquire swift and accurate focus. Compared to Hybrid CMOS AF, the new Hybrid AF II Sensor has phase detection pixels over a larger proportion of the sensor’s area – approximately 80% of the height and width. As a result, the EOS 100D is able to quickly achieve focus across the entire scene – both in stills and Full HD movies. 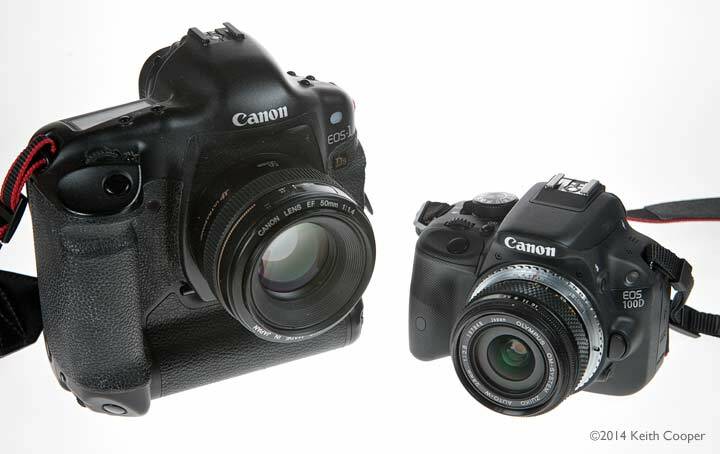 MELVILLE, N.Y., March 21, 2013 – Continuing the quest to deliver superb product innovations, Canon U.S.A., Inc., a leader in digital imaging solutions, today announced the world’s smallest and lightest DSLR* camera: the EOS Rebel SL1 Digital SLR Camera. It features a newly developed 18.0-megapixel CMOS (APS-C) sensor and high-performance DIGIC 5 Image Processor for exceptional image quality and speed. With its combination of lightweight size, ease of use and outstanding image quality, the EOS Rebel SL1 is perfect for users looking for the ideal camera to bring sightseeing on vacation or to capture the everyday. 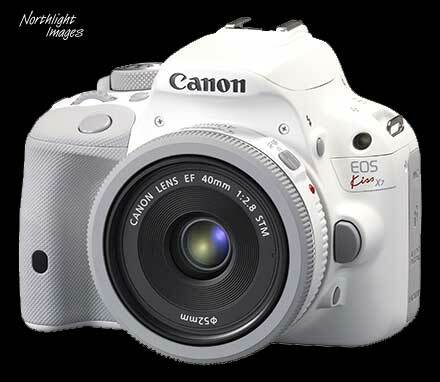 As the world’s smallest and lightest DSLR, the new camera body is 4.6″ (w) x 3.57″ (h) x 2.74″ (d), and weighs only 14.36 oz. 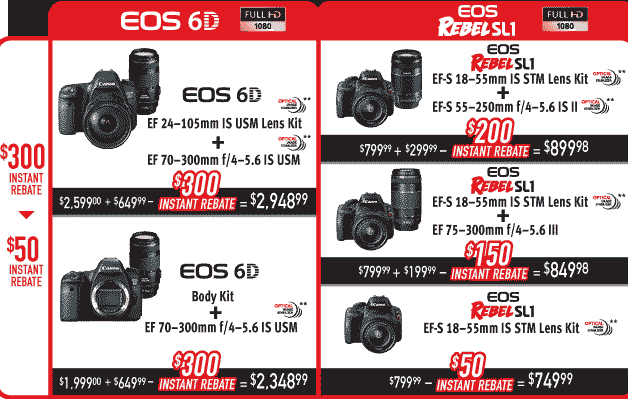 ** In comparison, the EOS Rebel SL1 is approximately 25 percent smaller and 28 percent lighter than the EOS Rebel T4i digital camera. 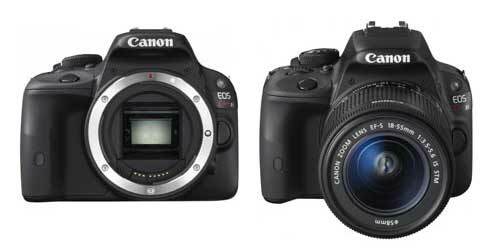 “Camera is called EOS-b overseas will be called EOS Kiss X7 in Japan. Kiss X7 specs are as follows. Note that the viewfinder in only 95% coverage, but is optical. Shutter Speeds 30 – 1/4000 sec. 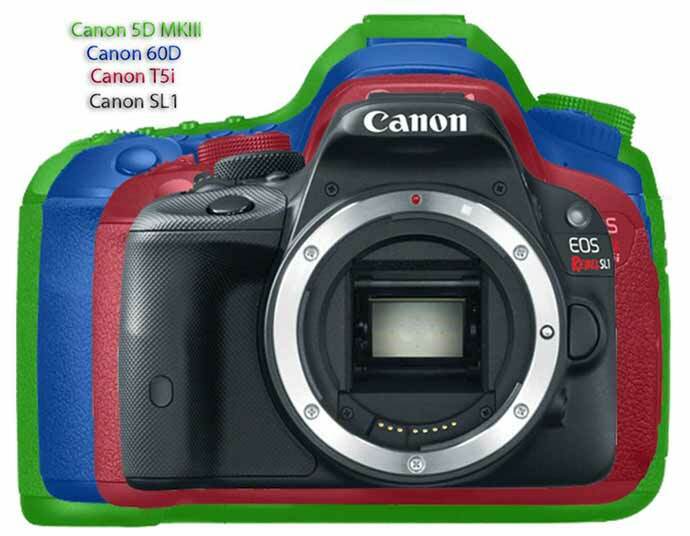 13th Suggestions that there will not be a 70D next week, but an all new ‘small’ DSLR.